The Peer Initiative IGNITION Program and BEYOND IGNITION Program created unique opportunities for Peer Leaders and Changemakers to create and develop Mental Health Peer Initiatives that would improve mental health and wellbeing. Armed with an idea for a Peer-Run Project or Business, IGNITION has assisted more than 30 participants develop the skills, knowledge and confidence they needed to make their ideas a reality. Below is a showcase of the Peer Initiatives recently launched by the Peer Leaders who participated in IGNITION. The Friends of Mental Health initiative is looking for carers to join together to do something purposeful and productive for their local mental health hospital, for their loved ones and for themselves. Where traditional carer groups tend to focus on problems, Friends of Mental Health is focusing on being proactive and doing something positive to enhance the recovery space within hospitals. Boredom is a common complaint for consumers. To combat this, Friends of Mental Health aim to enhance the space, as well as to provide something meaningful for consumers to do to occupy their time. Carers will work with each other and fundraise to finance the projects they choose, for example refurbishing garden furniture, repainting walls, starting a garden or adding technology to the ward. They firmly believe that mental health staff will also benefit from this initiative, by creating a better working environment, and providing productive opportunities for meaningful engagement. The Friends of Mental Health initiative will be a win-win for all parties concerned. Contact lynette.anderson@arafmi.org for further information if you are interested in working with Concord Hospital and RPA Hospital. Many evaluation models in mental health do not include consumers. Bè, a researcher and advocate, has been hard at work rectifying this, designing a new initiative that allows consumers to take more of an active role. ROPES is a measuring and evaluation initiative that is undertaken and led by consumers. It is designed to help service providers increase their system and operational capabilities, and assist in the improvement of service design, implementation and delivery of mental health programs. Multiple survey tools are used to measure different components of an organisation’s work practices and assess whether they are meeting state, national, and international indicators and benchmarks. This initiative not only provides a mechanism for consumers to become more engaged in the research process, but - thanks to an academic advisory group and the partnerships Bé established - produces quality and scientifically rigorous work. After many years of working in mental health services, Irene Gallagher followed her heart and decided it was time to step outside of traditional employment and utilise her skills to develop a peer-led organisation - Peer Work Matters. PWM Academy - Designed specifically for people wanting to enter the peer workforce including the recognised ‘readiness for peer work’ training program, and Peer2Peer Connect mentoring program, offering traineeships, placement and employment opportunities. PWM Enhance - Designed specifically for current peer workers, Enhance includes peer worker specific training and education, mentoring, professional development and supervision. PWM OPS (Organisational Peer Specialists) - For organisations wanting to implement or enhance their current peer workforce, PWM Peer Specialists come to you and assist with developing governance and support structures specific to the needs of your organisation. Thanks to the Peer Initiative IGNITION Program, Irene plans to set up a PWM Academy Centre somewhere in Sydney soon. Aloka Wylde is a public speaker working to raise the profile of mental health recovery after experiencing the mental health system as both a patient and nurse for more than 40 years. She is focused on increasing awareness and opening a dialogue from lived experience about difficult topics, such as suicide, self-harm and depression. Aloka was first admitted into a psychiatric facility as a teenager, which led her to a desire to make things better for others in a long career as a mental health nurse. She experienced trauma and workplace bullying, and considers her thorough understanding of all aspects of the mental health system in NSW as a key asset for influencing the conversation of how we can move forward with mental health recovery. Drawing on her lived experience of relapse and recovery for clinical depression and intermittent suicidal tendencies, Aloka brings rich life experiences and is able to tailor her speaking engagements to the needs of any group or organisation. Kate was bullied traumatically but refused to give up and through perseverance and courage, she regained the strength to rise above the pain of the past. She now dedicates her life to others, motivating communities to lessen bullying as much as possible and prevent suicide. Kate built Beyond A Joke, a registered tax-deductible charity that aims to be the catalyst for change and end the cycle of bullying that is so dominant today. 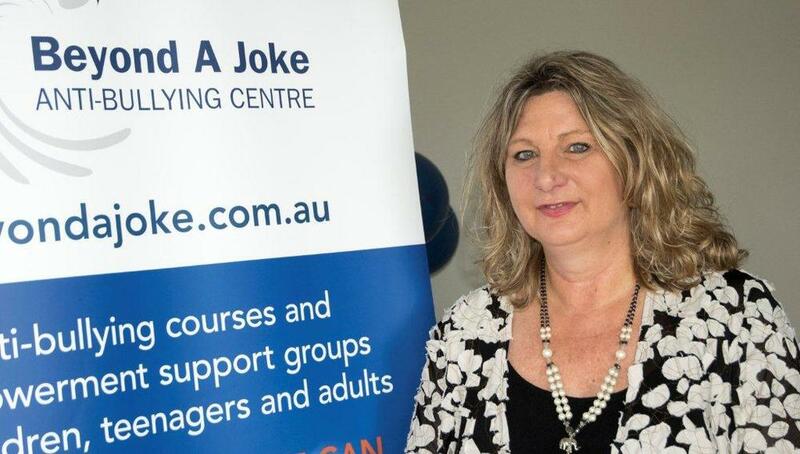 Beyond A Joke started on Sydney's Northern Beaches and runs courses, counselling, and empowerment centres for both youth and adults in need of support. Thanks to the Ignition program, Kate is planning to open her first Empowerment Centre within the Inner West of Sydney and has a goal to open many more all over Australia. Make a Move is a new dance and movement program which offers a fun and uplifting way to improve our mental health. Dance movement therapy is a wonderful way to lift our spirits, connect with others and express our emotions while gaining the benefits of physical exercise. This program offers people experiencing mental health challenges the opportunity to further their recovery and personal growth through the healing and nurturing medium of movement. It aims to improve mental, emotional and physical wellbeing and to provide an encouraging and safe environment for people to come together, connect and share their experiences. Make a Move has recently completed its successful pilot program in Summer Hill. The program is now continuing to run from Buckingham House in Surry Hills. The program is free and people can join the program at any time. No prior dance experience is required, just a willingness to participate and have fun. Men and women 18 and over are encouraged to attend and people of all abilities are welcome.